February 12th, 2018 – Today, PinSound is excited to reveal its new sound board for pinball machine: the « PinSound + ». With the best technology, this new generation sound board will completely change the game-play experience. 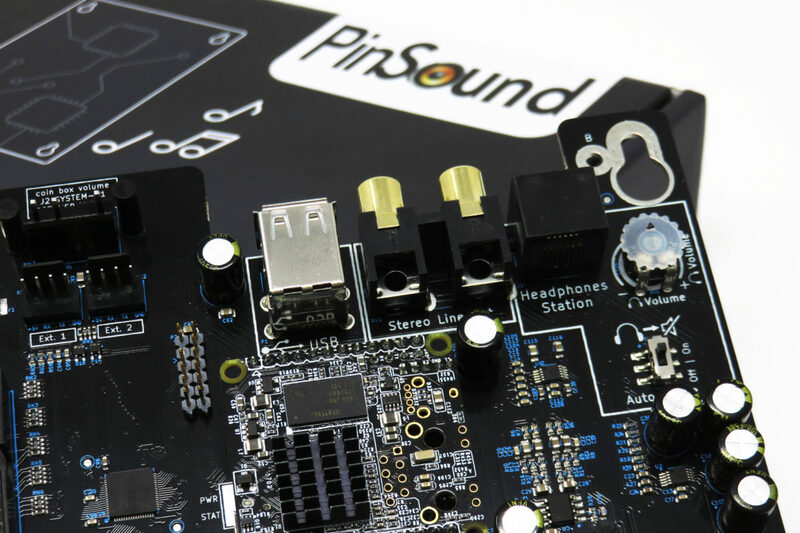 « When we designed the first PinSound board, 6 years ago, the pinball collectors were over enthusiastic », said Nicolas MANAUD, co-director of the PinSound company. « We wanted to continue to improve the pinball player experience and to deliver the best possible product to our supportive customers ». This new ultimate sound card for pinball machines is compatible with more than 100 different pinball machines and allow pinball collectors to play with enhanced sound packages. The music is loud and clear and completely changes the player experience. Pinsound is globally recognized as the best sound upgrade for pinball machines. The proprietary sound engine allows a perfect retro-compatibility with all the supported machines and lets musician’s creativity explodes. This new PinSound + sound board is available right now on www.pinsound.org at a fantastic and competitive price of less than 0.044 BTC. PinSound is a company based in Grenoble – France (near the Alps) – by the PinSound brothers, Nicolas & Timothée MANAUD. The company is driven by providing amazing products such as sound board, speakers kits and others pinball machines upgrades. I just install the Pinsound+ card on my Tommy pinball…with sounds from the original broadway. The Who are living in my Pinball ! Its amazing how my machine is transformed. Just purchased a pinsound 1 board a couple months ago and did not know about this new board, any upgrades for new purchasers? Would have waited knowing a new board was coming out instead of buying older board.